#5 all day every day! It feels like loungewear but its acceptable to wear outside. Loooooove it. Great picks! That weekender bag is so perfect and definitely something worth buying…even when not on sale! I love all of your picks! The black tote and the linen striped dress are so cute! WOW!! !I wish I could have all of these! Great pics! the half yearly sale is so dangerous for me because I love and need it all! Especially the dress and all the shoes you listed! These are all so great but that shirt dress is calling my name! I seriously might need to go get that this weekend! CUTE! Cute finds! I love all the shoes! Those are some really cute picks. I really love the heels. These are great picks!! I especially love all of the shoes! Those cork wedges would be perfect for summer! I love those wedges! Can’t beat a cork wedge. 🙂 Great picks! I really love that striped bag! Great finds. Loving that linen dress and those floral heels!! 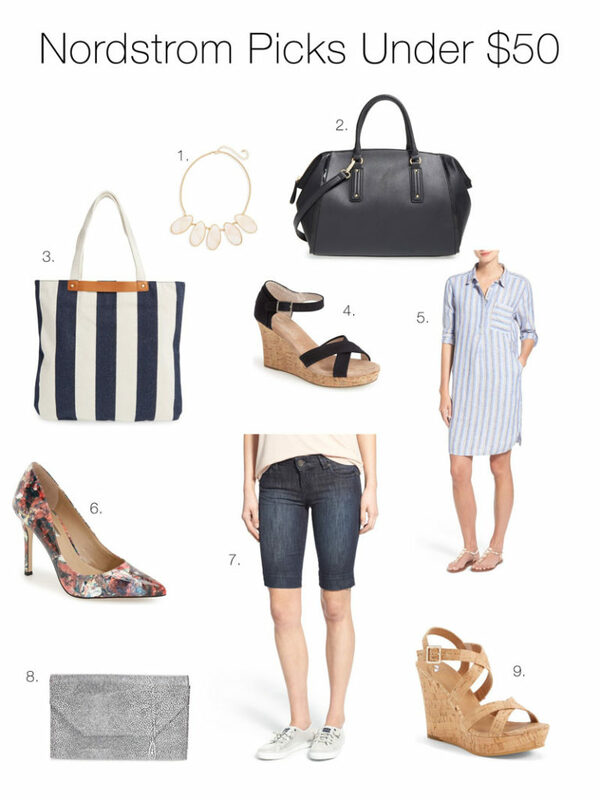 I seriously swoon over the Nordstrom sale. I really like the bag, the heels and the wedges. I want to go shopping so bad!I’m trying to save money for my vacation in August but man is it hard.